Sunny, a cherished mother, grandmother and great-grandmother, peacefully passed away on Wednesday, November 21, 2018 in Colorado Springs, Colorado. She was born in West Chester, Pennsylvania on April 12, 1927 to the late Paul Seeber and Hedwig (Wachter) Seeber. Sunny grew up in West Chester, Pennsylvania; during the summer months she spent many hours in her family's greenhouse honing her gardening skills. She attended West Chester High School where she was involved in choir, various clubs, played field hockey, and girls' basketball. Her friends referred to her as a really "Swell Gal". After high school she attended and graduated in 1948 from Marion Jr. College in Virginia. While attending Marion College, she was on the school newspaper staff, was President of the International Relations Club, involved in the choir and played varsity field hockey and basketball. Her friends referred to her as "Seeb". In 1950, she received a Certificate of Award at the Deaconess Motherhouse School of Baltimore, United Lutheran Church in America for a two-year course for Parish Workers. During her many years of employment she worked as a cafeteria cook in School District 12 and as the Meals on Wheels volunteer coordinator for Silver Key Senior Services. After retiring from Silver Key, she continued her work as a volunteer for Interfaith Hospitality Network through First Lutheran Church. 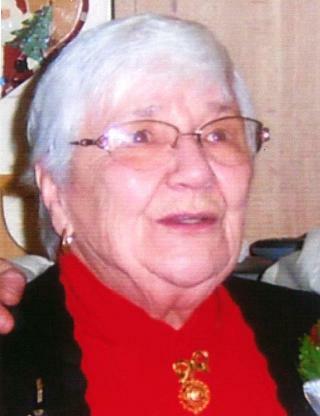 Her favorite pastimes were tending to her flower garden, having family dinners and going to lunch with her friends. She was an amazing cook, and often hosted a Christmas Eve gathering at her home. One of her favorite recipes was called "Raymond's Cookies", which we have yet to find the recipe for. She was a Host Family for many decades to Air Force Academy Cadets, which she considered her sons. Family, friends and faith were an important part of her life. Sunny is survived by her sons, Bruce (Ruth) Austin, Drew (Cindy) Austin; four grandchildren; four great-grandchildren; Brad, Valerie, and Madison Cooper, and second mom to many others. Memorial Service, 11:00AM, Thursday, December 6, 2018, First Lutheran Church, 1515 North Cascade Avenue, Colorado Springs, Colorado 80907.